Hire a low cost car in Bandaranayake Airport, Sri Lanka - Compare and book a cheaper SUV, MPV or 7 seat minibus in Sri Lanka. 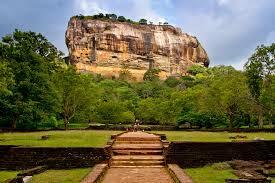 Book cheaper car hire today in Bandaranayake Airport. If not collecting your car at Colombo International Airport, then you can get the car in the city itself from either the Hilton or Continental Hotels. However, if not staying at, or near, these hotels, the hire car can be delivered to your hotel, or collected from the downtown location. If travelling around Sri Lanka, then you can do a one way to either Negambo or Ragama. The Colombo International Airport in Sri Lanka also goes by the name of Bandaranayake Airport, and has an IATA code of CMB. Colombo is situated on the west south west coats of this tear drop island. The city is a mix of land and water, with Lake Beira, rivers and canals dominating the landscape. Need to find somewhere to stay in Colombo or Sri Lanka? Then check out the hotel prices we have with Agoda, via the link at bottom of this page.